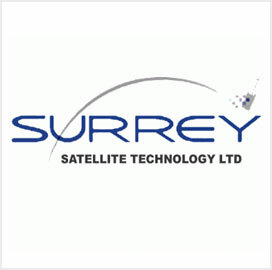 Surrey Satellite Technology US will conduct a study on sustainable land imaging reduced instrument envelope as an alternative to the current Landsat imaging sensors under a new contract from NASA‘s Goddard Space Flight Center. 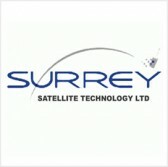 The Colorado-based subsidiary of Surrey Satellite Technology Ltd. said Friday the six-month study will look into developing a smaller form factor for the sensors installed on the current Landsat 8 satellite while meeting NASA’s technical and economic requirements. Doug Gerull, SST-US chief operating officer, said his company is one of six prime contractors chosen to support the NASA program and build sensors for Landsat 10 and onward. SST-US said it will work with Space Dynamics Laboratory to explore a possible integration of its electro-optical imager designs with SDL’s thermal imaging instrument that would work in a similar manner to existing sensors. Landsat 8 currently carries the Operational Land Imager and Thermal Infrared Sensor. The team will also look to design two “co-registered” sensors in a similar configuration to the Landsat 8 sensorsr, SST-US said. SST-US says NASA requires data continuity across the Landsat satellites and has partnered with Global Science & Technology‘s Landsat scientists to ensure that the new instrument or instruments meet the Landsat operational requirements.